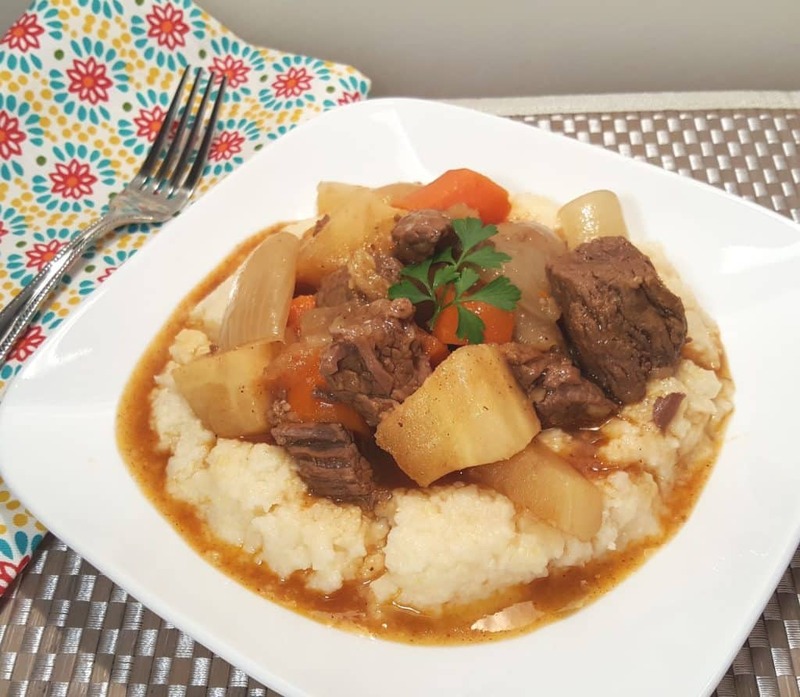 Pressure Cooker Beef Stew with Root Vegetables gets its flavors from the sweetness of the turnips and parsnips and can be on your table in under one hour. Beef Stew is a warm and homey meal and makes us think of family time around the dinner table. 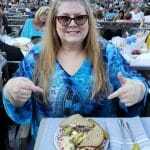 Remember the good old days of enjoying a nice leisurely dinner and exchanging stories of our day. That was before the new fast paced World of computers and mobile devices. Gosh and I used to think faxes were fast paced! 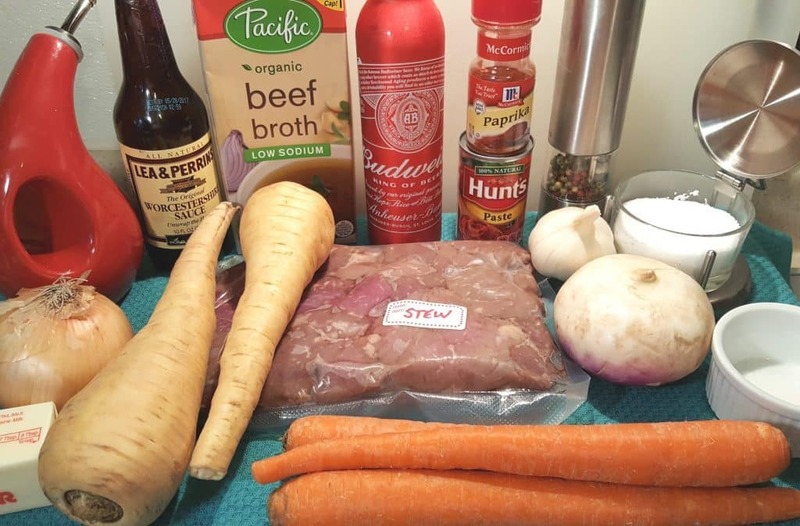 My favorite Beef Stew recipe (coming soon) is one that my friend Phyllis gave to me many years ago. 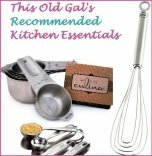 You may remember the name, Phyllis, because she is the one who gave me the recipe for my Pressure Cooker New York Cheesecake, which started a Cheesecake craze in the pressure cooking World! 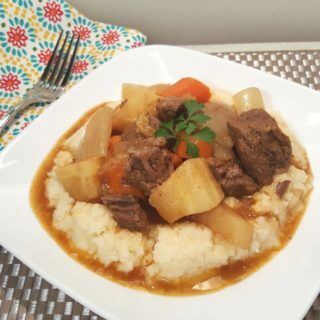 Another favorite Beef Stew recipe is Ree Drummond’s recipe. I’ve taken liberties with her recipe to make it work in the Pressure Cooker. 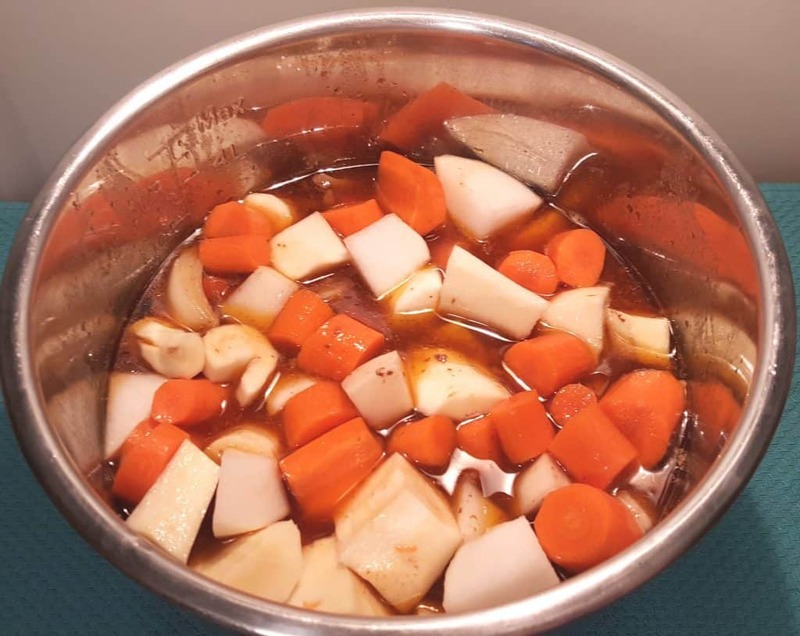 I love that my Pressure Cooker Beef Stew with Root Vegetables can be on my table in under one hour, instead of three and a half hours on the stove! It is awfully good on the stove though. You should try it that way, as well. It used to be cheaper to cook your own meals, rather than to go out to eat. Prices for good food have gone way up, so most of us are on a budget and want to get the most from our money. It is often times cheaper to buy a nice big piece of Chuck Roast, rather than a package of already cut up, “Stew” meat. Plus, I prefer to choose a beautiful Chuck Roast and cut up the meat myself. 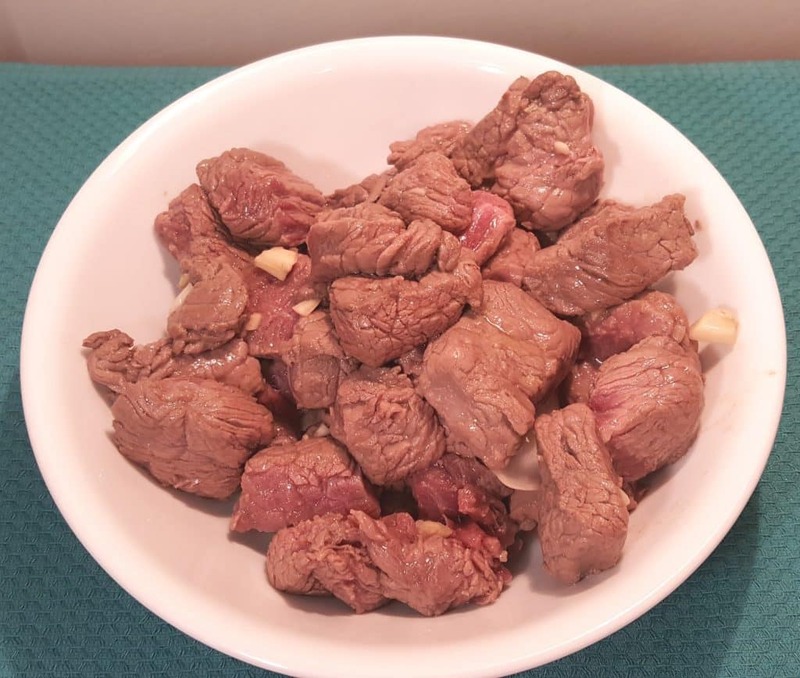 When there is a sale, I’ll buy six or more pounds of Chuck Roast(s), process the meat for various recipes and then use my Foodsaver Vacuum System and package them into two pound bags. Some I cut for Stew, others, I slice to use in my Chinese Take-Out Beef and Broccoli or Pressure Cooker Mongolian Beef, recipes, to name a couple. I also add marinades to Foodsaver bags of meat for easy “Freezer” meals. I love onions and I want my onions to stay in tact in the Pressure Cooker. So, similarly to my Pressure Cooker Classic Pot Roast Dinner recipe, we will give the onions a good sear and then add them back in at the end. 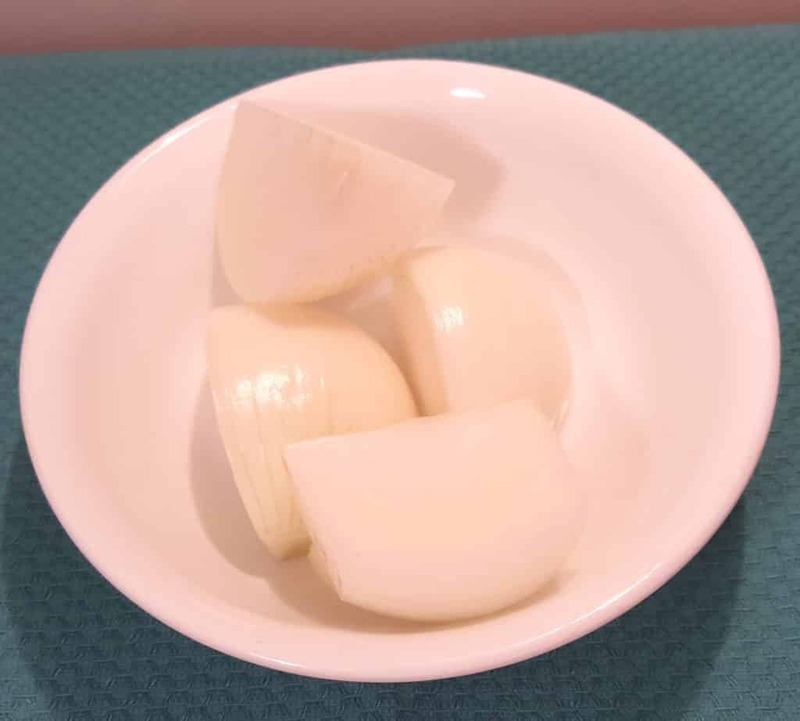 Cut your Onion into quarters. 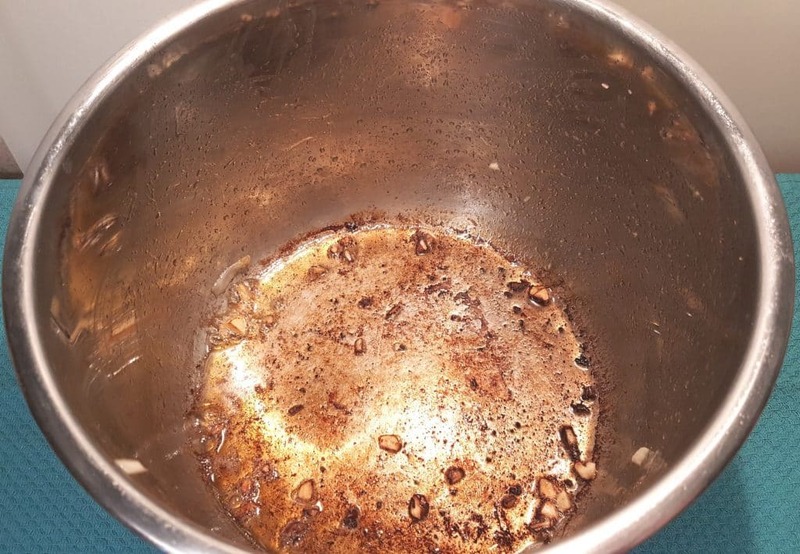 Always allow your Pressure Cooker cooking pot to fully heat up, before adding a fat. Doing so, makes your Stainless Steel pot, non-stick! So, allow your Pressure Cooker to fully heat and then add the oil and butter. Why both? Because, butter burns at higher temperatures, so the oil will help keep the butter from burning, but still have a nice buttery taste. 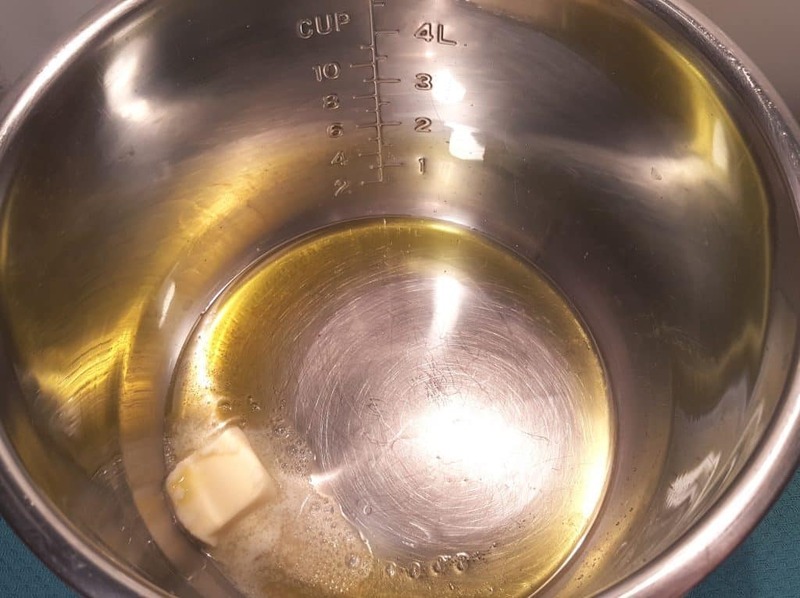 Alternatively, you can use my Homemade Simple Ghee if you like as Ghee is great with higher heat. 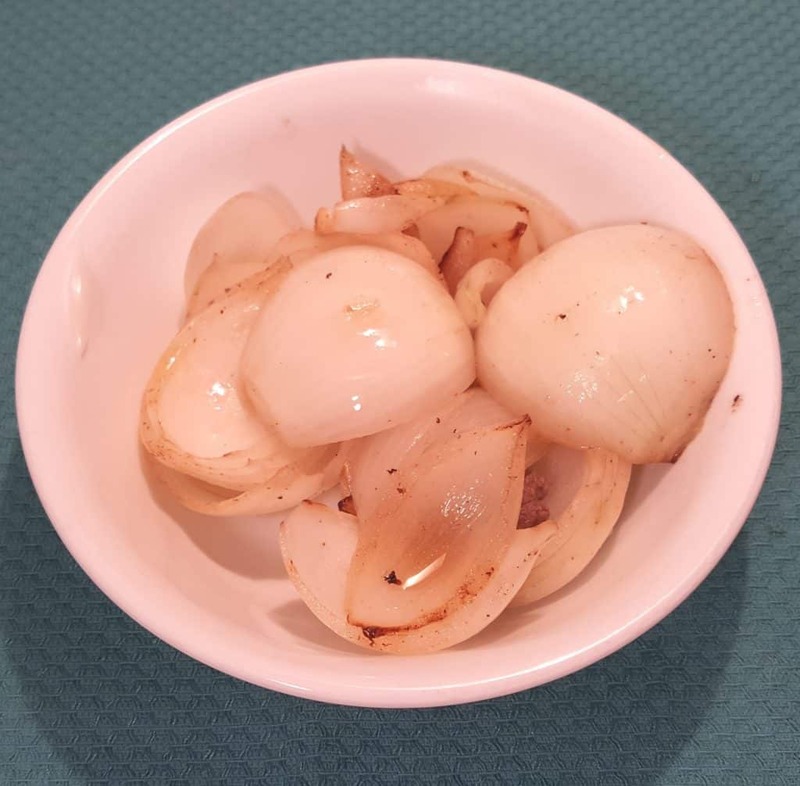 I usually add in the garlic after browning my onion because garlic will burn quickly and onions take longer to become translucent and fragrant. However, since the garlic and meat will be removed shortly, I wanted to save you some time and that extra step. Salt and pepper the meat and toss it in along with the onions and garlic. The beef will sear pretty quickly, so pull out the pieces as they become a bit brown. You don’t need a heavy sear. We just want to get some good flavor on the beef. Most of the garlic will come out with the beef, which is fine and good. Allow the onions to begin to caramelize by letting them sit in the very hot cooking pot. Turn them to the next side, once you see some caramelization. They will break up a bit and that is fine. Pull them out as they caramelize and set them aside for later. They will get added back into the Pressure Cooker after the meat has cooked. 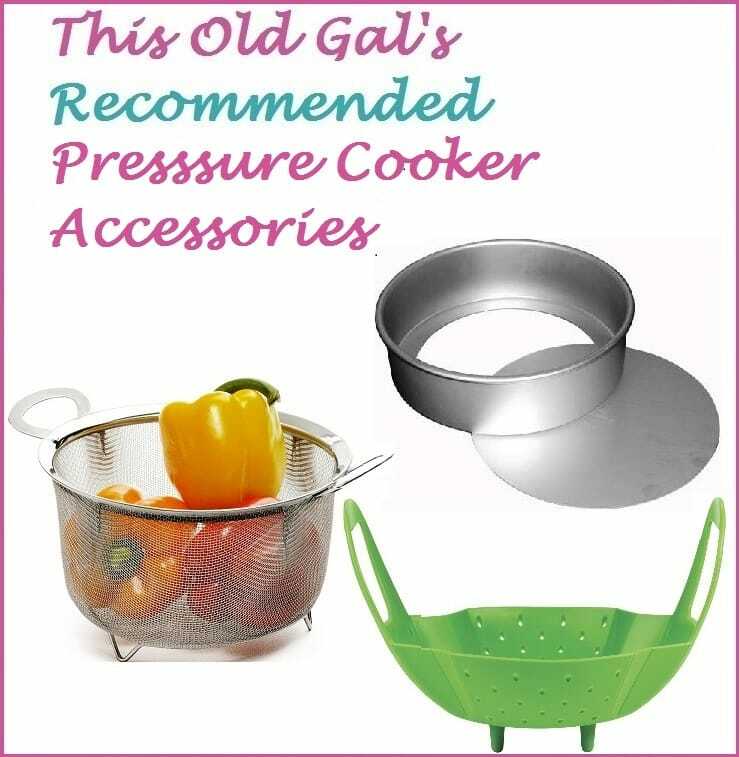 Your Pressure Cooker cooking pot will look like there is stuff stuck to the bottom. Smile, that is all the good flavor stuff! The stuffs Stews are made from! Grab your Spatula and the beer and let’s make a little Fond. 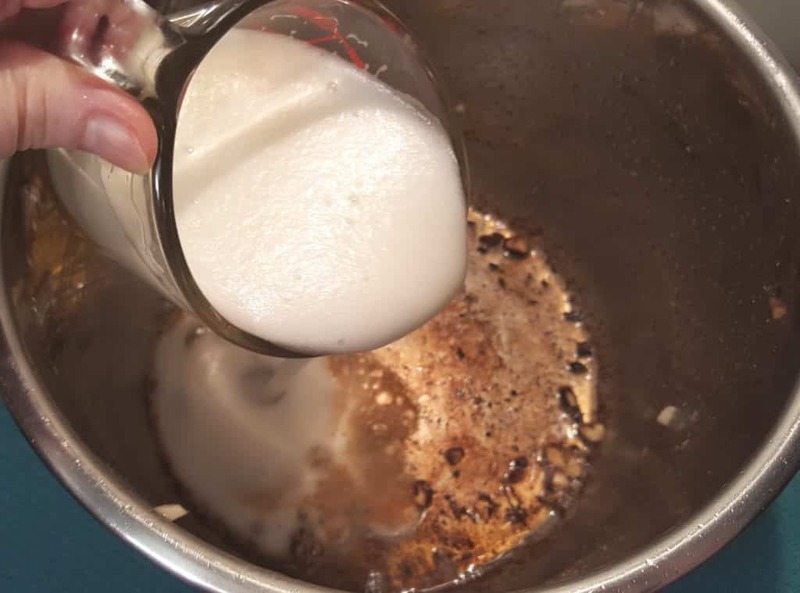 Since we will be cooking in a Pressure Cooker and not simmering on the stove, the alcohol won’t have a chance to burn off as much as it does on the stove. So, here’s the dealio, let’s deglaze the cooking pot with the beer. Grab your Spatula and scrape the bottom of the cooking pot to free the yummy bits and pieces. Ta da! Look at that Fond! Dun-da-dun-tah, we’ve got Fond and a clean pot! 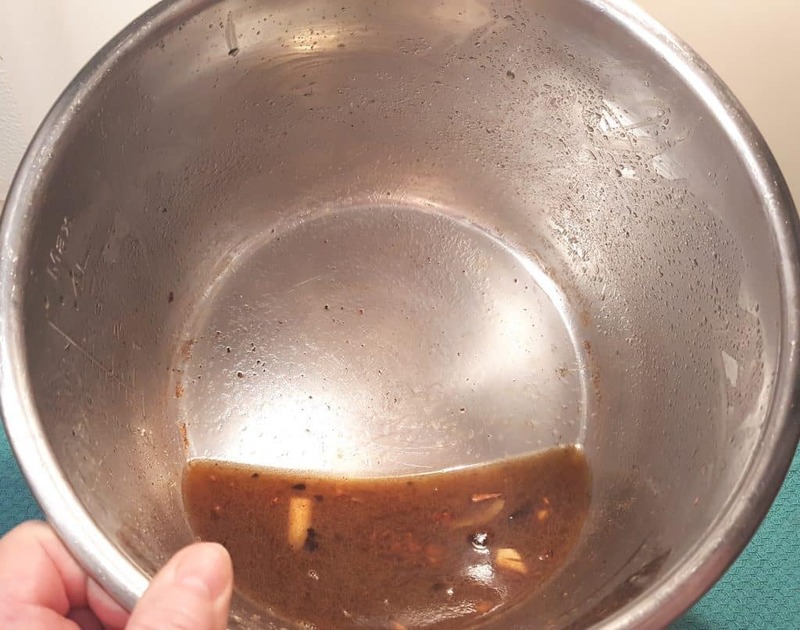 Because you heated up your cooking pot before adding the oil, it became non stick and the pieces just slid right off the bottom. Look at all that lovely flavor. 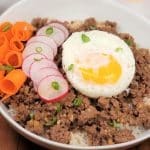 Dump in your Beef Broth and all the seasonings. 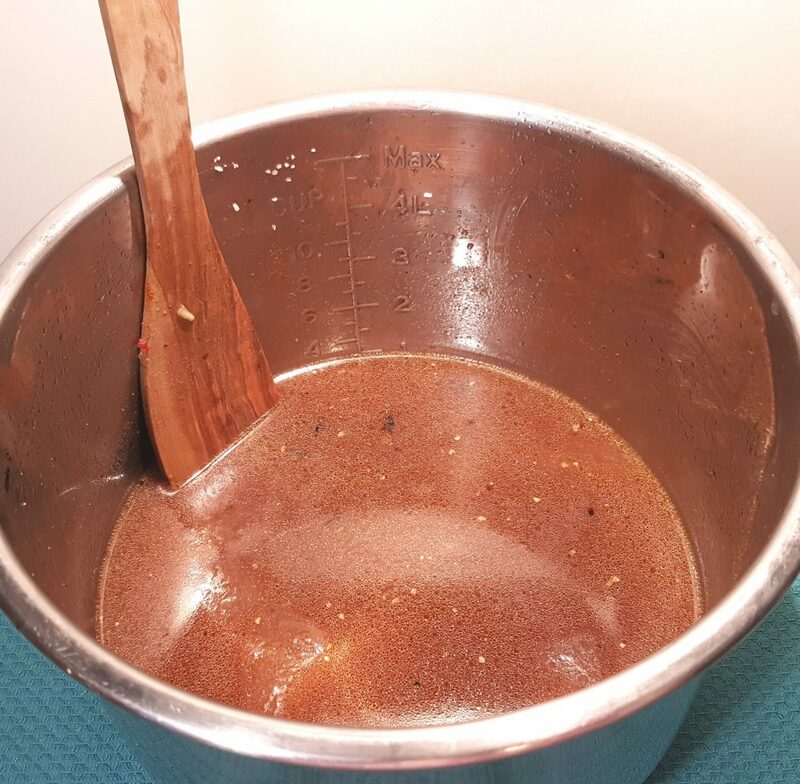 I make my own Pressure Cooker Bone Broth/Stock and freeze in one cup Foodsaver pouches, so I added in three of them. The broth will defrost quickly in your pot. Make sure you use Beef Broth/Stock for this and not chicken broth/stock. This recipe needs the richness of the beef stock. 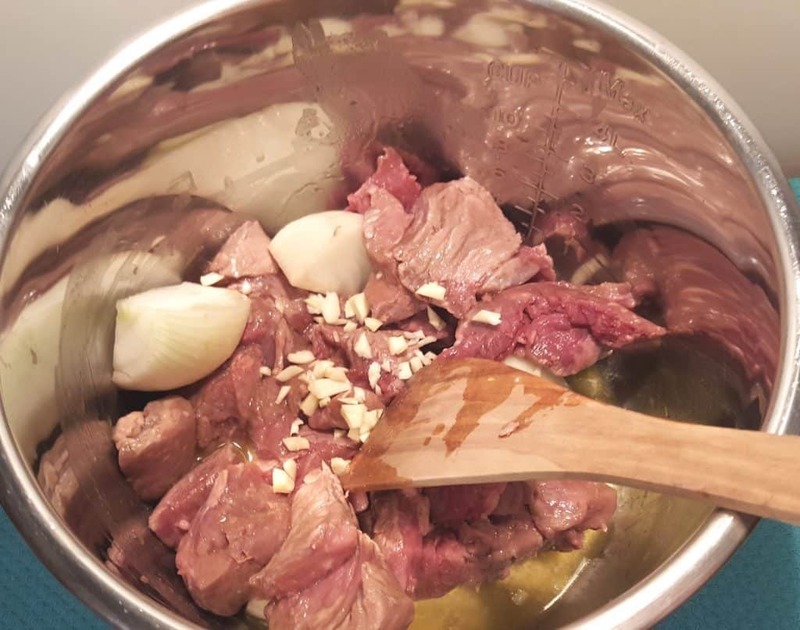 Add your Beef Stew Meat to the broth and you are ready to cook! Lock on the lid. While the Beef is cooking, peel and chop your root vegetables. Try to cut them all the same size. 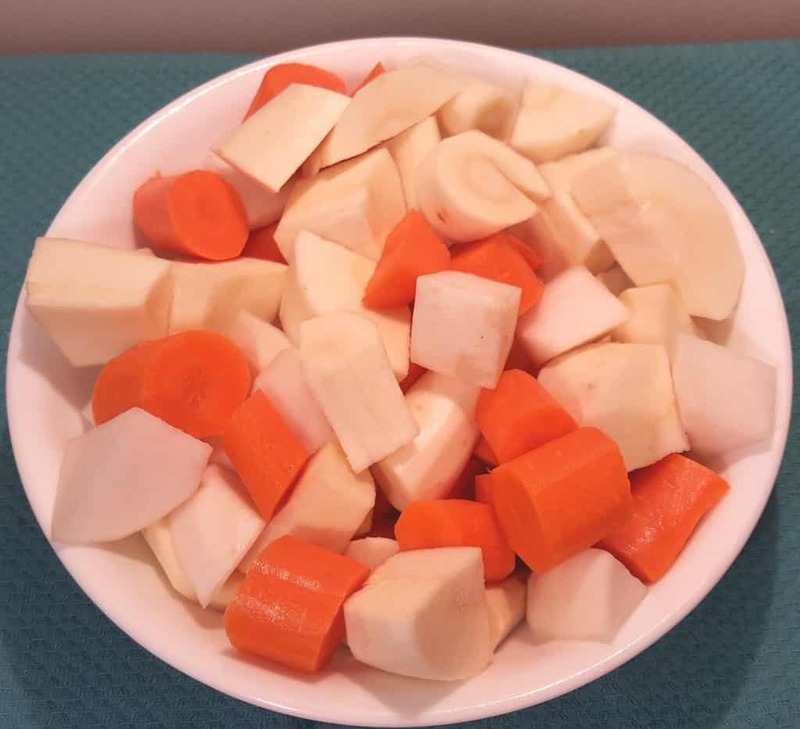 To keep them crisp and prevent the parsnips from browning, place the veggies in a bowl and cover with water. 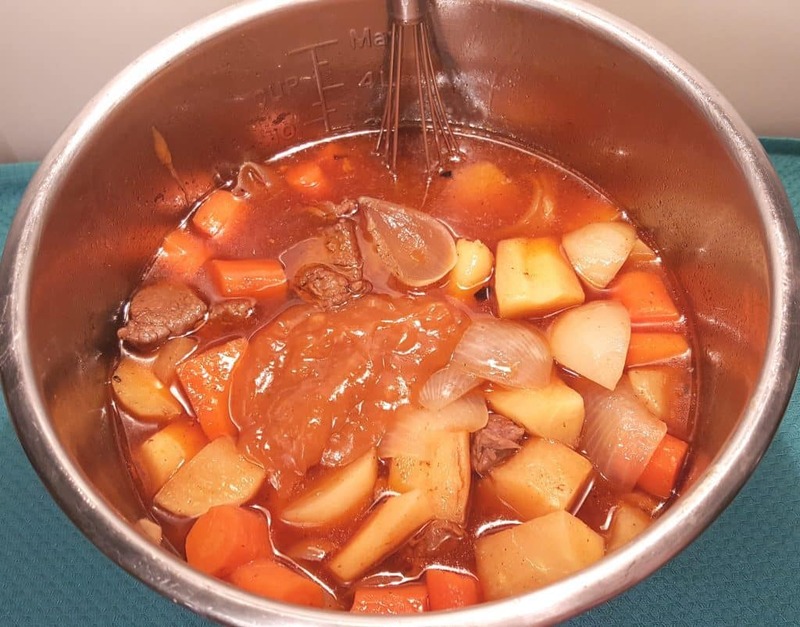 After a quick cook time, you will have a delicious Beef Stew! My camera seems to have overexposed this photo, so pretend it is not florescent. 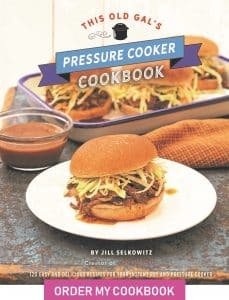 After the pressure has released, make a slurry by dunking a measuring cup into your Pressure Cooker Beef Stew with Root Vegetables. Pull out some liquid. 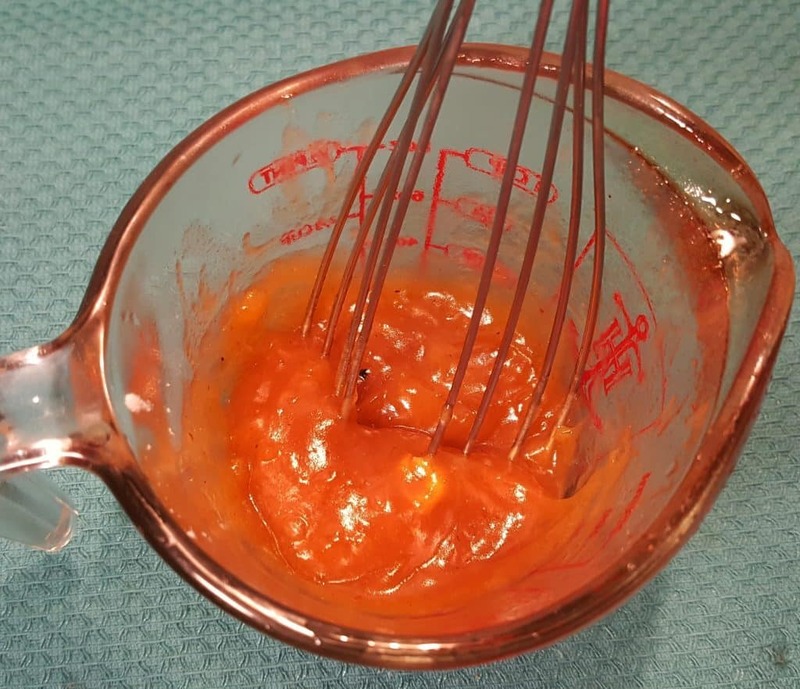 Add 1-2 Tablespoons of Potato Starch or Flour and use a Whisk to blend it thoroughly. Make sure all lumps and bumps are gone. Dump in the Slurry and take your Whisk and push the Slurry to the bottom of the cooking pot. Whisk in the Slurry very well, being careful not to break up the vegetables. Simmer your Stew until the liquid begins to thicken. You can see how all the vegetables have kept their integrity. 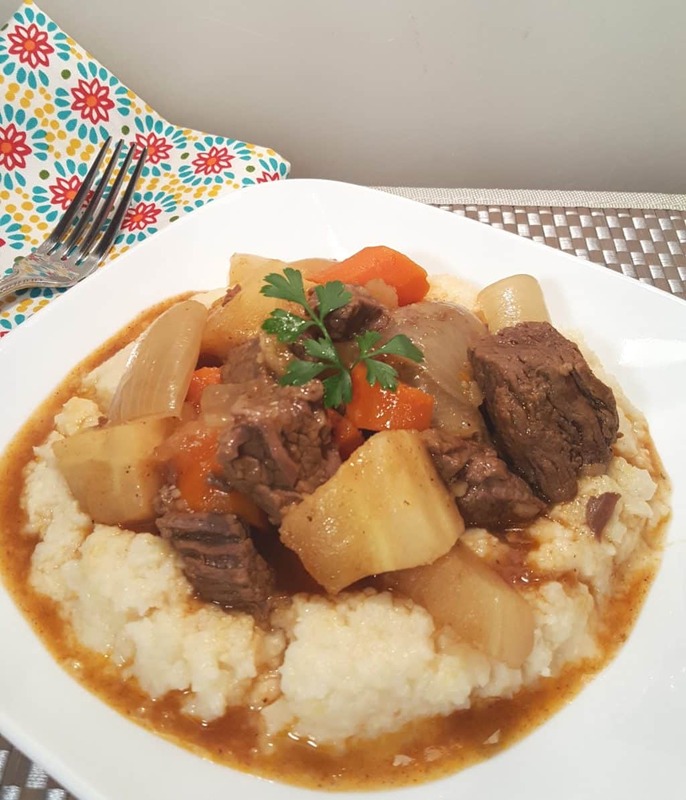 I like to serve this Pressure Cooker Beef Stew with Root Vegetables on top of my yummy Pressure Cooker Southern Style Cheesy Grits. 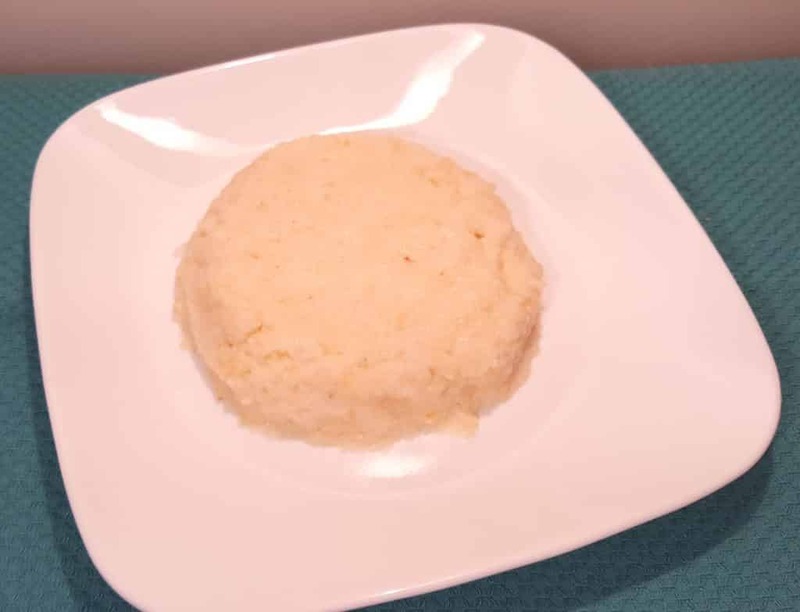 If you have a second Pressure Cooker, you could make up the grits, or you can use the Pot in Pot method with the set up like my Pressure CookerPerfectly Cooked Pot in Pot Rice recipe. Enjoy! Notice I am using a Pioneer Woman napkin to thank her for this Pressure Cooker Beef Stew with Root Vegetables meal. Select Sauté or Browning on your Pressure Cooker cooking pot and allow to fully heat. Season beef with salt and pepper and then dredge through potato starch. Add oil and butter. Add beef, onions and garlic to cooking pot and give it a quick mix around the hot pot, just enough to seal the potato starch to the beef. Pour in beer and deglaze the cooking pot. Add in beef broth, Worcestershire sauce, tomato paste, paprika and sugar. Lock on lid and close Pressure Valve. Cook at High Pressure for 30 minutes. When Beep sounds, allow a 10 minute Natural Pressure Release. Open lid and add add in the carrots, turnips and parsnips. Drop in Bay Leaves. Select Sauté or Browning and allow to simmer, to thicken, if desired. 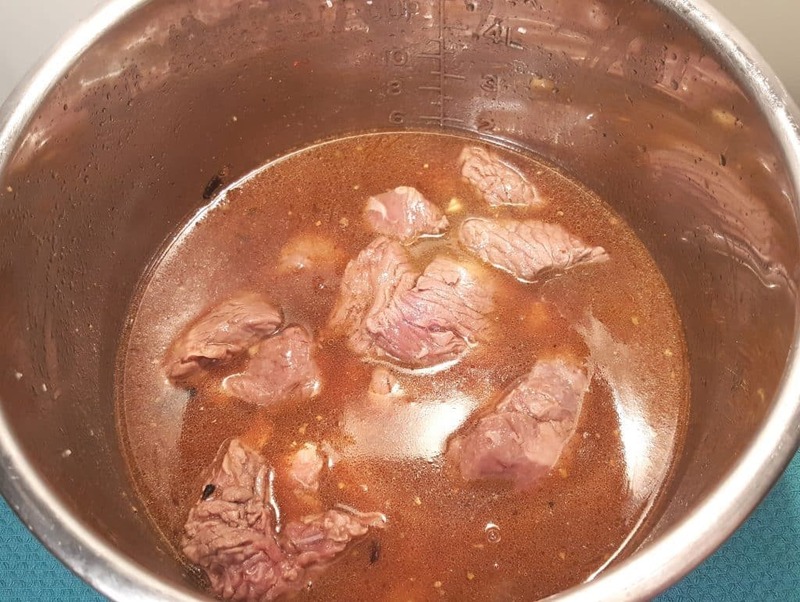 Beef broth or wine can be used in place of beer. PIN this Pressure Cooker Beef Stew with Root Vegetables! Can’t print this recipe. Why? If I want to add potatoes too, do I add them with parsnips, carrots, etc.? Will they cook in same time as the rest? We’re trying this recipe tonight…most of it anyways. 🙂 I am wondering tho why grits?? We’ve never heard of this. lol We’re southern and have grits all the time but not with beef stew. 🙂 Thanks! 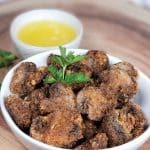 Made this recipe last night…..Fantastic dish….so tasty and tender. Didn’t make the grits but the stew was aromatic and delicious. I only have a one pound package of stew so I thought I would cut the recipe in half. 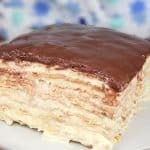 Should I also reduce the cook time? 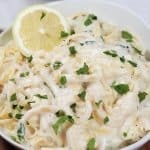 We are trying this recipe tonight. Store out of turnips so using a rutabaga, hope this works! I have a question about the food saver bags. We tried to use them with leftover roast and gravy, but they would not seal as the gravy kept getting sucked into the sealing area. I made this last night and it was the perfect meal at the end of a cold, windy day. I am trying to include more root vegetables in my cooking and this fit the bill.